Hot & cold breakfast sandwiches, soft drinks, milk & juices, buns baked on premises, dine-in, take-out or delivery. 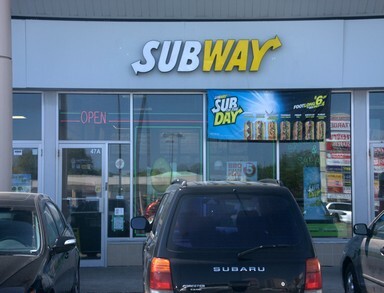 With more than 32,000 locations in 90 countries, the SUBWAY® brand is the world’s largest submarine sandwich franchise. Wherever SUBWAY restaurants are located, the core menu stays relatively the same – with the exception of some cultural and religious variations. You can enjoy a footlong Turkey Breast Sub, with your choice of a variety of vegetables and condiments served on bread baked right in the restaurant in Jamaica, then travel to New Zealand and get the same footlong Turkey Breast Sub!